Hello, and welcome to MSD Melbourne and Geelong, a family owned and operated security door specialist company that eats, sleeps and breathes security doors. We pride ourselves on delivering high quality customer service and are committed to providing real security for you and your loved ones. We believe that home security is not something to joke about and we would like to clarify what is real and what is just smoke and mirrors, because security doors should have ‘No Gimmicks or Tricks’ attached to them at all! A security door should do one thing and one thing only: protect you and your family, it’s as simple as that! At MSD Melbourne, we think the industry needs a bit of a shakeup. There’s so many so-called security doors that simply don’t secure a single thing – they may look similar but looks can be deceiving! We actually class these so-called doors as barriers – not a real true security door. That’s why we specialise in the market leading CrimSafe Security Doors and the tried and tested pure strength of steel security doors. These security doors, in our opinion, are really the only two types of real security doors that actually do what they promise to do: protect people. Sad, but true. You can check out our testing results on our site for all the facts and figures that stands behind what we are saying. The world has changed a lot over the last couple of years. Unfortunately, there’s no more leaving a door unlocked anymore and we all need to think in a different way to protect our homes and family. Securing yourself is just part of life these days. Here at MSD Melbourne, we will and want to protect you and your family in real life situations and this is why we believe in Crimsafe and Steel Security Doors so much because simply they are the best on the market. Both Crimsafe Security Doors and Steel Security Doors have a proven record of pure strength and integrity with test results to prove it. Crimsafe is the new high tech security product that has revolutionised the security door industry. 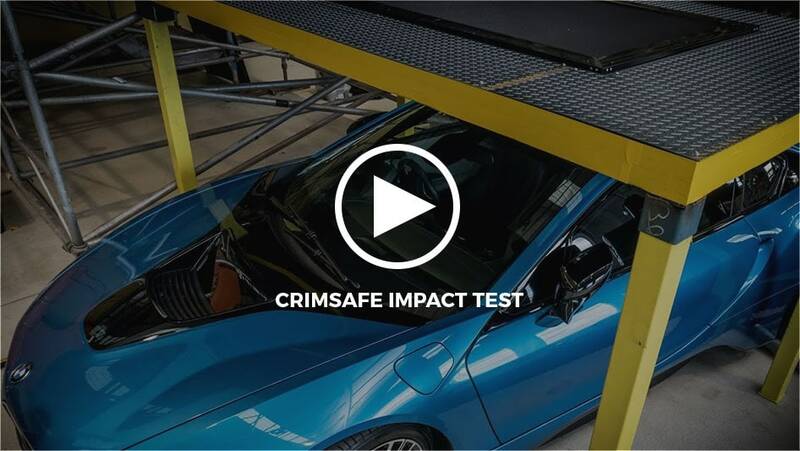 Crimsafe doors have undergone more scientific testing than any other product ever known and passed with no equals. Let’s face it, steel doors speak for themselves. Steel Security Doors have been in jails for decades, and if they keep them in then they can keep them out. We have one of the largest ranges of security doors in Melbourne, and Australia. We have all the Crimsafe products available, and we also have a massive range of different types and styles of steel doors. We even have steel and aluminium combination doors right through to basic aluminium doors and even flyscreen doors. Our range offers our valued clients a versatility in design choices to help you choose the right one for you and your home’s character. At MSD Melbourne, we only use pure engineering techniques to manufacture our range of doors from start to finish. You can rest easy knowing that every single door is made by us, for you and your unique needs. Our highly skilled and dedicated staff have been handpicked and employed by us, from our manufacturers, office managers, factory managers right down to our installation technicians. They are all our own staff and we are very proud of that, and they care about your safety just as much as we do. We do not employ contractors, which gives us and you the peace of mind knowing that the highest quality security door supply and installation can be achieved. We will provide you with our professional advice with integrity and an unbiased view. Using our unrivalled knowledge and industry experience, we will give you recommendations on designs, products, locks, colours, meshes, and just about everything that we believe suits your home. We actually care which door you choose as we put our name on it, and we take pride in what we do. We will help you through the whole process because that’s what we’re here for and what we love to do. Even if we cannot help you we will suggest someone who can. We are also members and proud supporters of the Australian Security Screen Association for your peace of mind. For advice, expertise and anything you may need concerning your Melbourne security door, contact one of our showrooms today. Otherwise, you can fill out our online contact form and we’ll get back to you soon as we can.